Split window view lets you put your contact list in one window, and each conversation you open in a separate one. 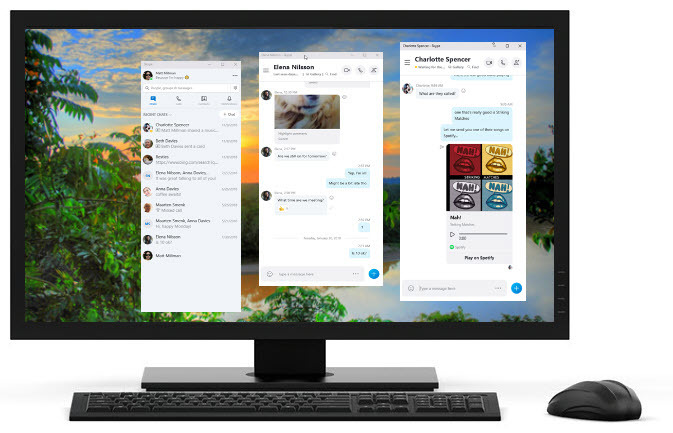 You can drag your contact, and conversation windows anywhere on your screen to really personalize the way you use Skype. 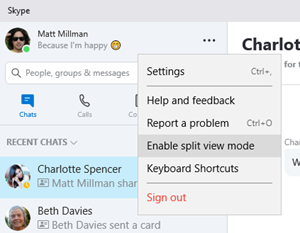 Split window view is currently only available in Skype for Windows 10 (version 14). Select Enable split view mode. Your contact, and conversation windows are now split and can be placed anywhere on your screen. How do I open multiple conversation screens? Double click on an existing conversation in your chats list, or start a new chat to open it in a new screen.